Posts tagged "Vivian Hsu Jo-Hsuan"
The Legend of the White Snake lives again in movie form with the upcoming The Sorcerer and the White Snake (白蛇傳說), which hits theaters in China in September. The Legend of the White Snake is a story older than writing, and has been the basis for countless stories, books, operas, tv shows, and films. The version probably most familiar in the west is Tsui Hark’s 1993 Green Snake, with Maggie Cheung and Joey Wong. White Snake and Green Snake are two snakes that have taken human female form, and the basic story usually involves White Snake and a young scholar falling in love, until a monk comes along and throws White Snake into a well. Later versions sometimes change things to a more happy ending. 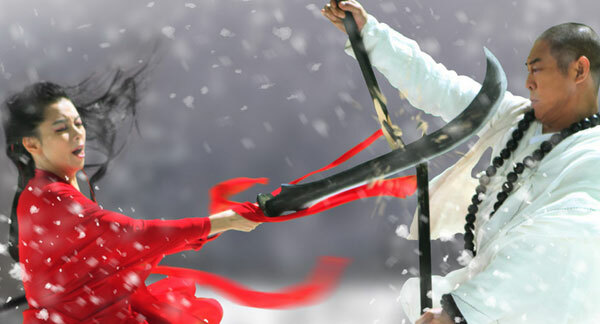 The Sorcerer and the White Snake has Jet Li as the Monk Fa Hai, and it will feature many martial arts battles. 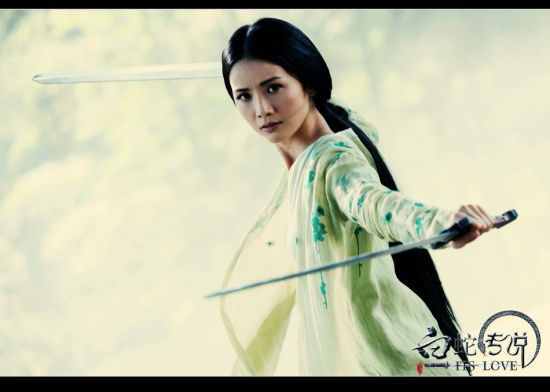 Eva Huang is White Snake, and Charlene Choi is Green Snake. The scholar Xu Xian is Raymond Lam, and the Monk’s understudy is played by Wen Zhang. Several others have been cast as various demon characters, including Jiang Wu as Turtle Devil, Vivian Hsu as Snow Goblin, Miriam Yeung as Rabbit Devil, Chapman To as Toad Monster and Lam Suet as Chicken Devil. So it will be a huge zoo of fairy monster people! 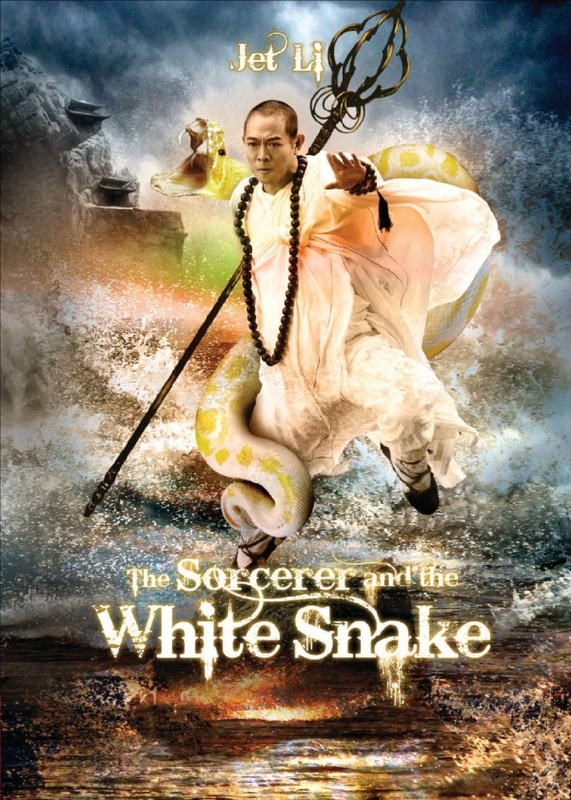 The Sorcerer and the White Snake has had a few English titles, originally Madame White Snake and then It’s Love. 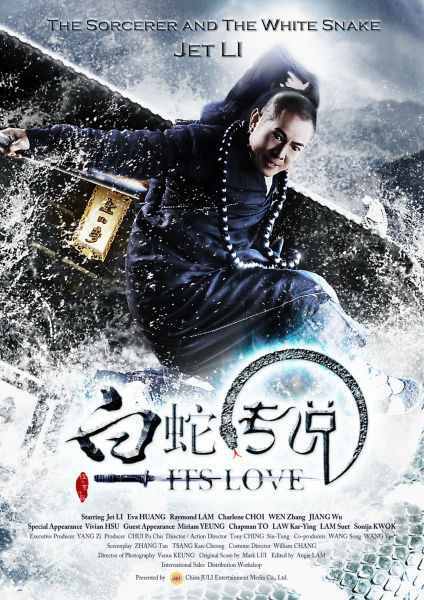 But It’s Love is a lame name, thus the distributor changed it to The Sorcerer and the White Snake to pull in Harry Potter fans. I’m kidding, they actually did it to get fans of the Sorcerer’s Apprentice franchise! But will it have the “mocha mocha” song? Because you need the “mocha mocha” song! Ching Siu-tung (1987’s A Chinese Ghost Story) directs.